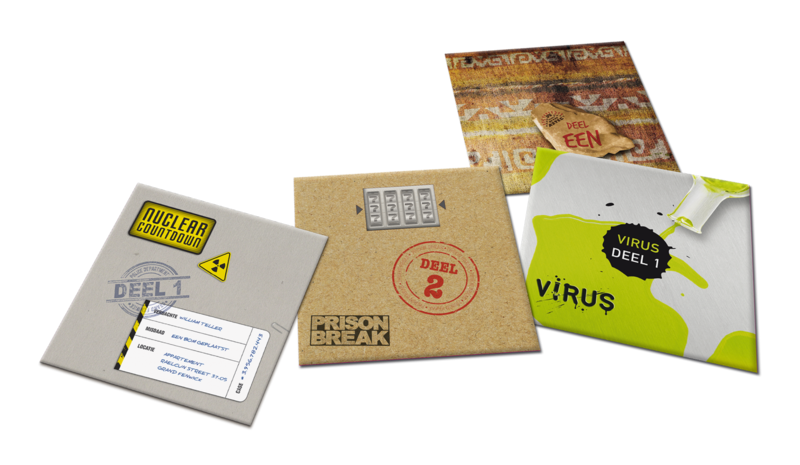 Escape Room The Game is a new board game where you can play at home with your family or friends. 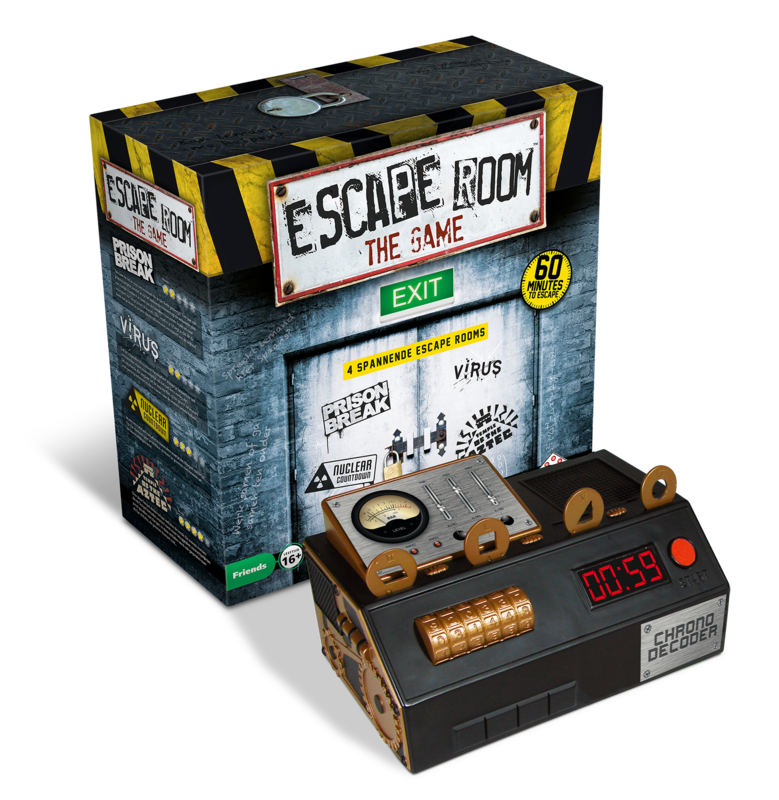 In this game you’re working together trying to find clues and solving a mystery to escape the room. 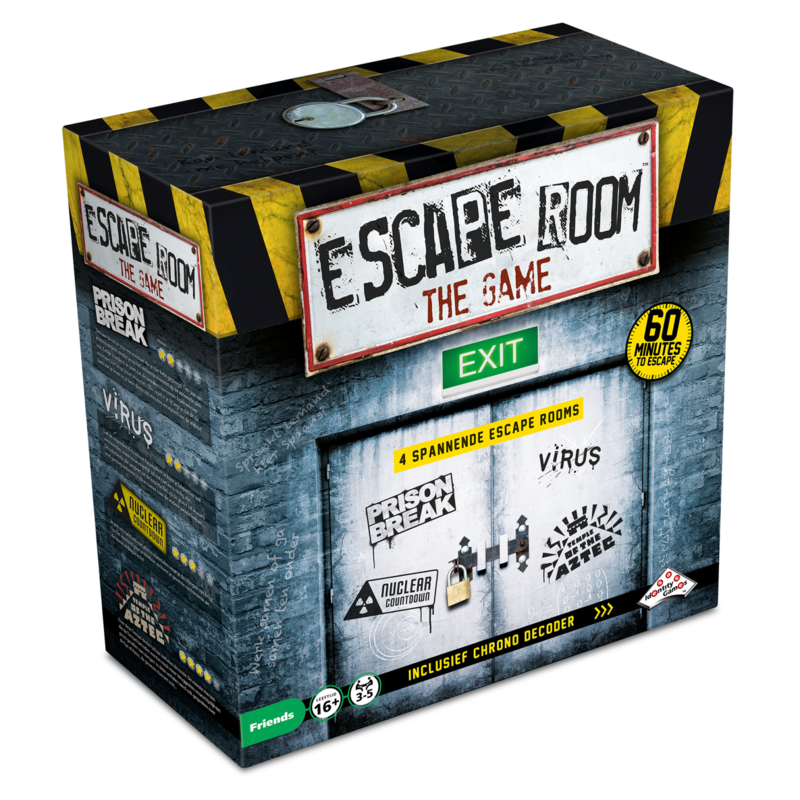 Deciper the code and escape in 60 minutes! 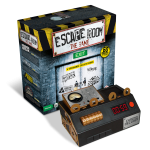 There is a Chrono Decoder in the game for countdown, to create a atmosphere for the players and giving clues.